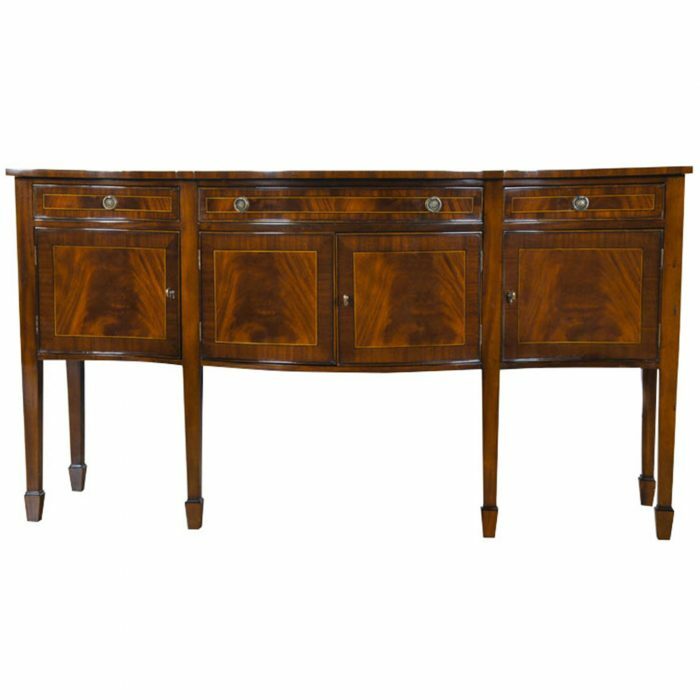 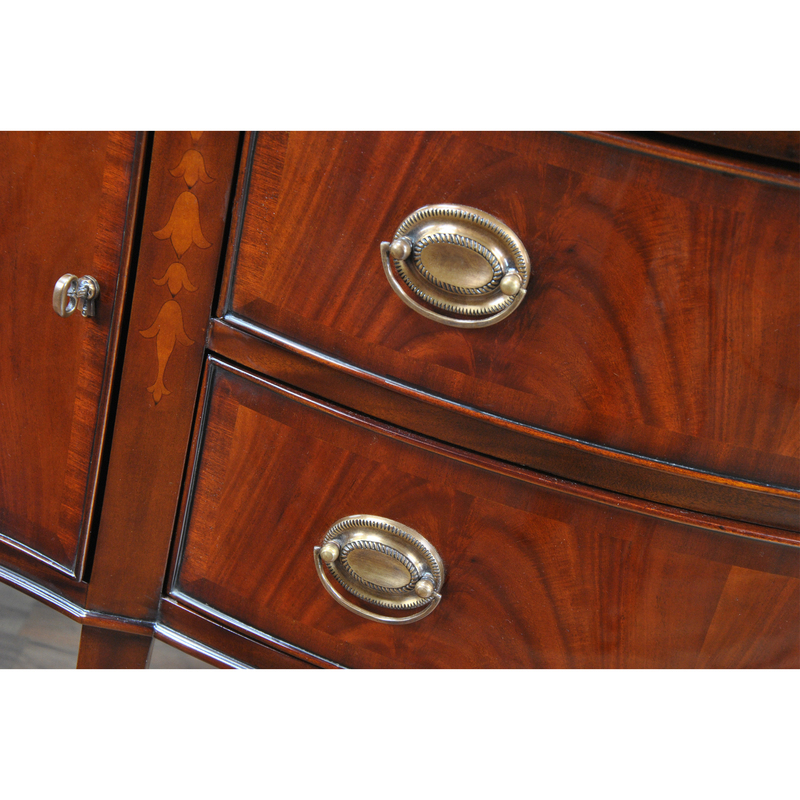 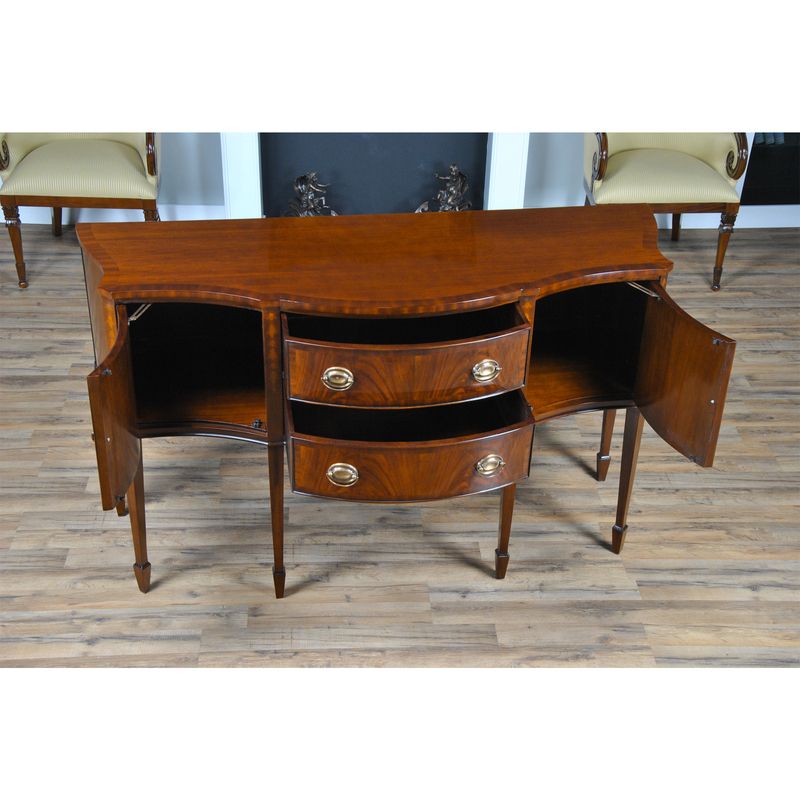 This sophisticated Inlaid Sideboard is beautifully appointed throughout and also boasts practical storage space. 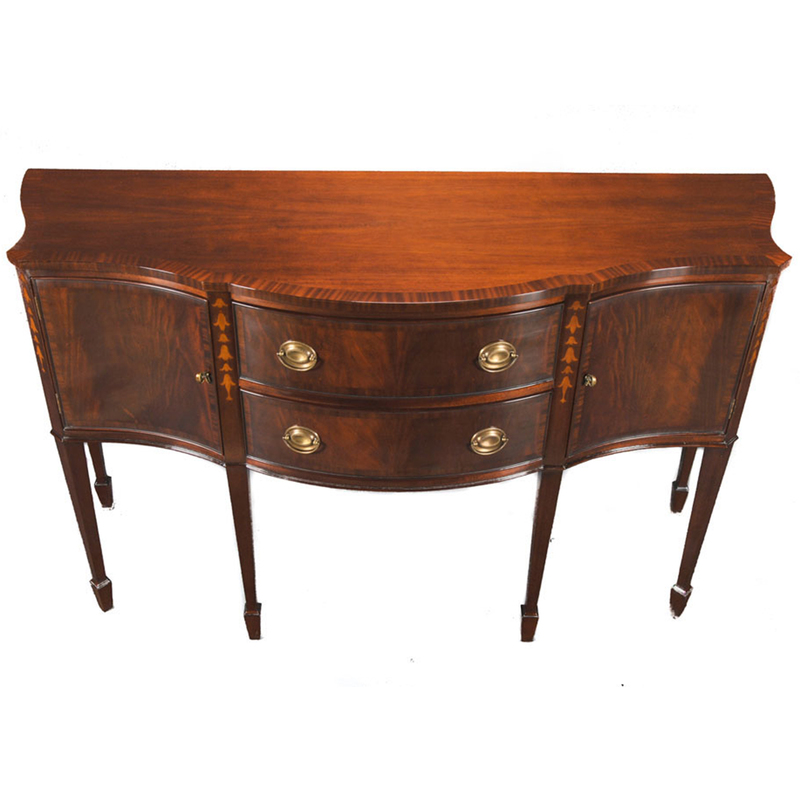 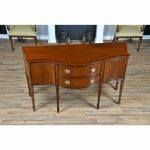 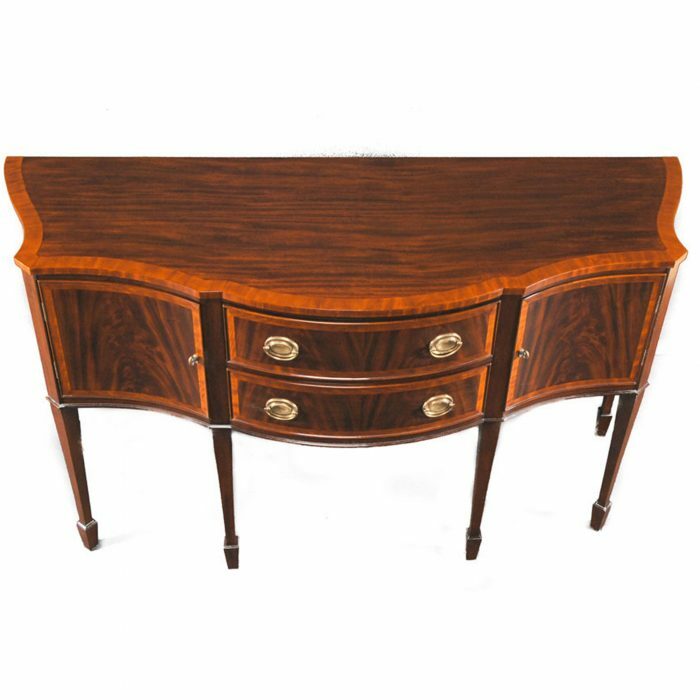 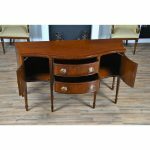 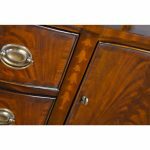 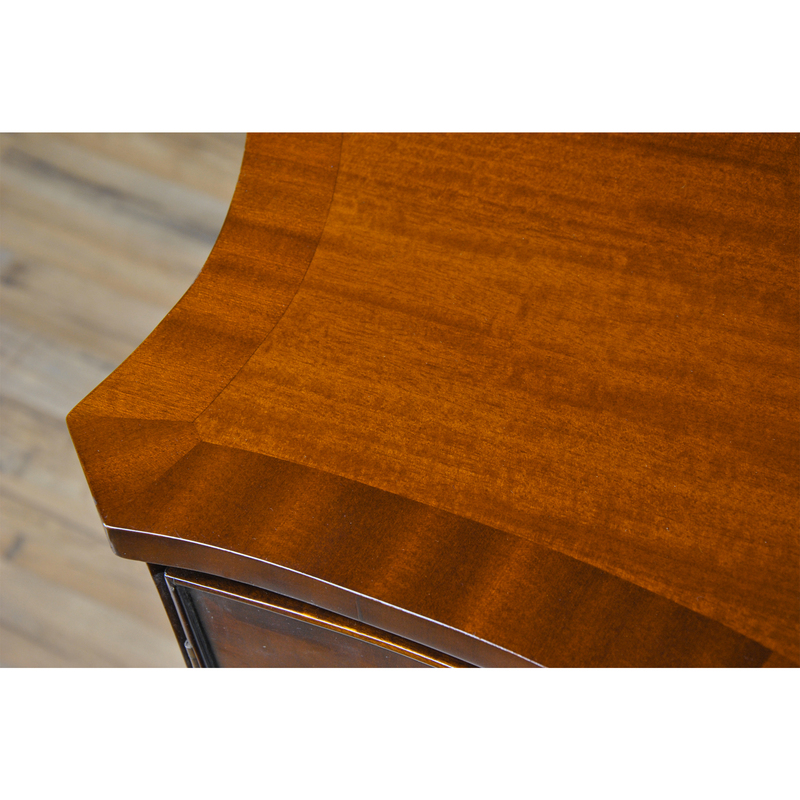 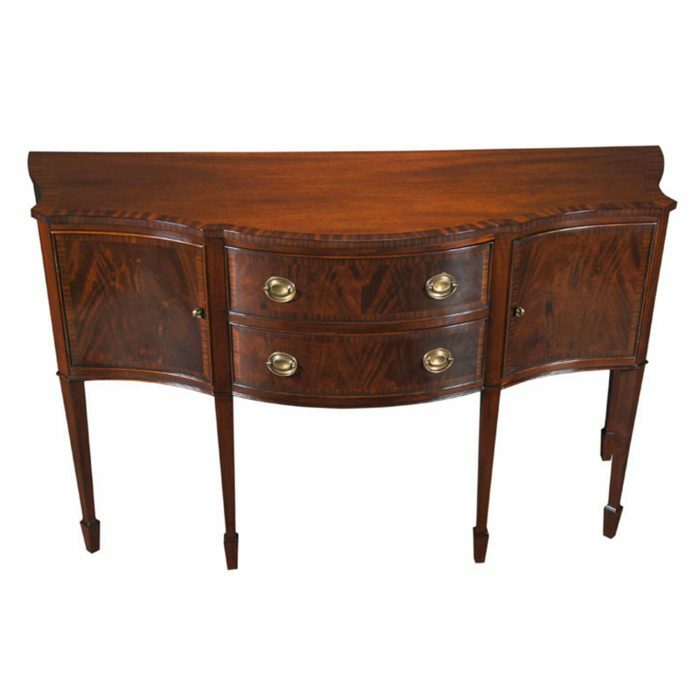 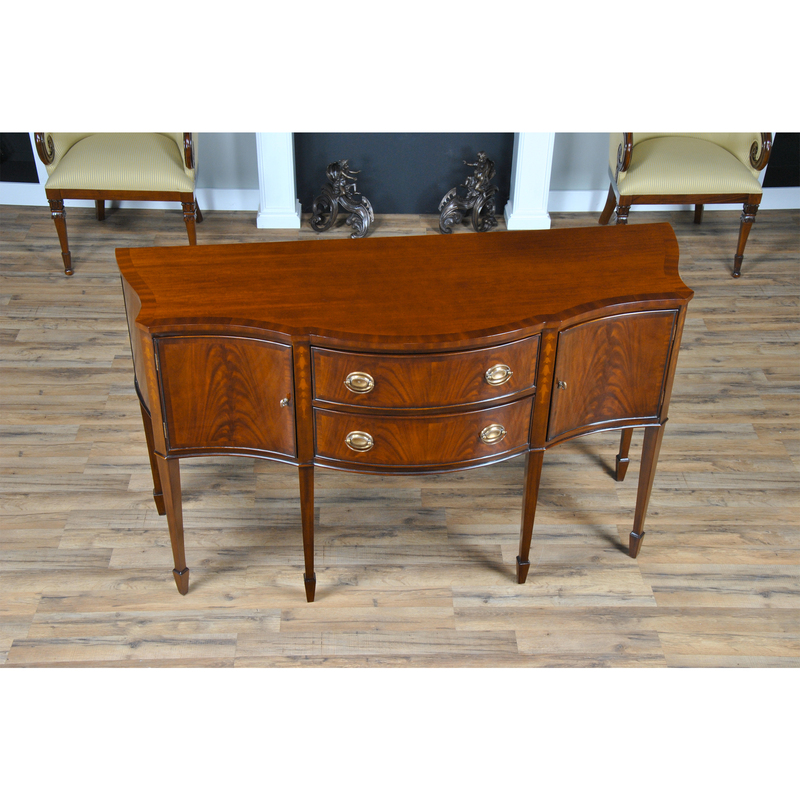 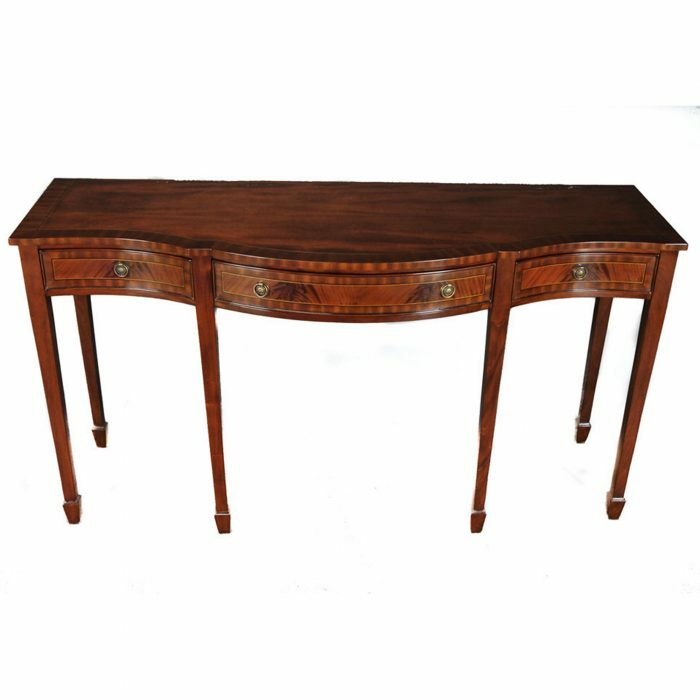 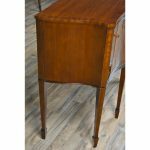 The serpentine shaped front is a classic design feature and this shape is highlighted on the top of the sideboard with lightly contrasting sapele banding. Continuing down the Inlaid Sideboard the two high quality dovetailed drawers and the two doors are curved as are the sides of the piece. 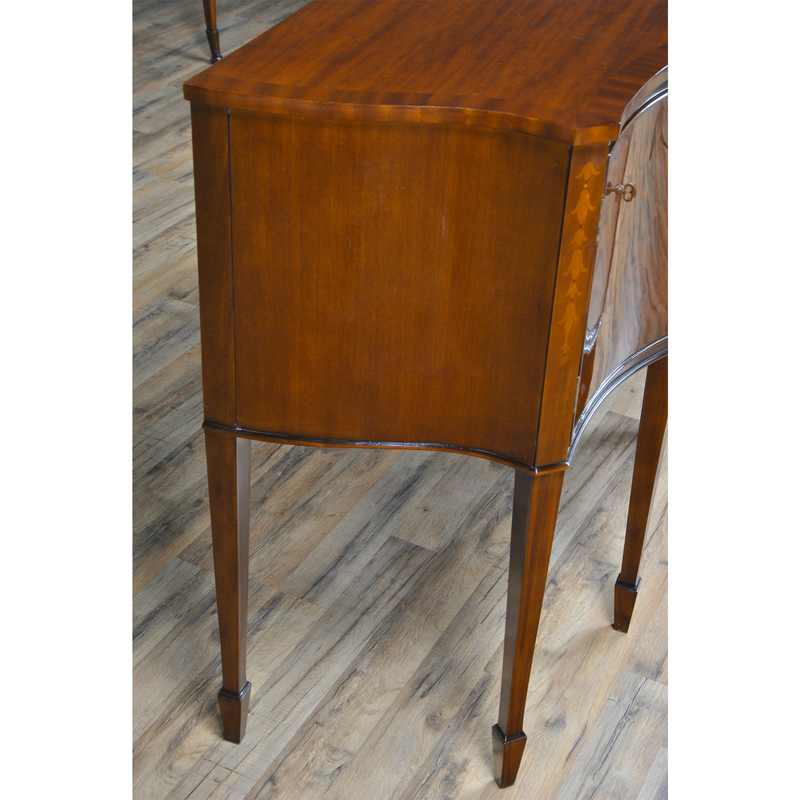 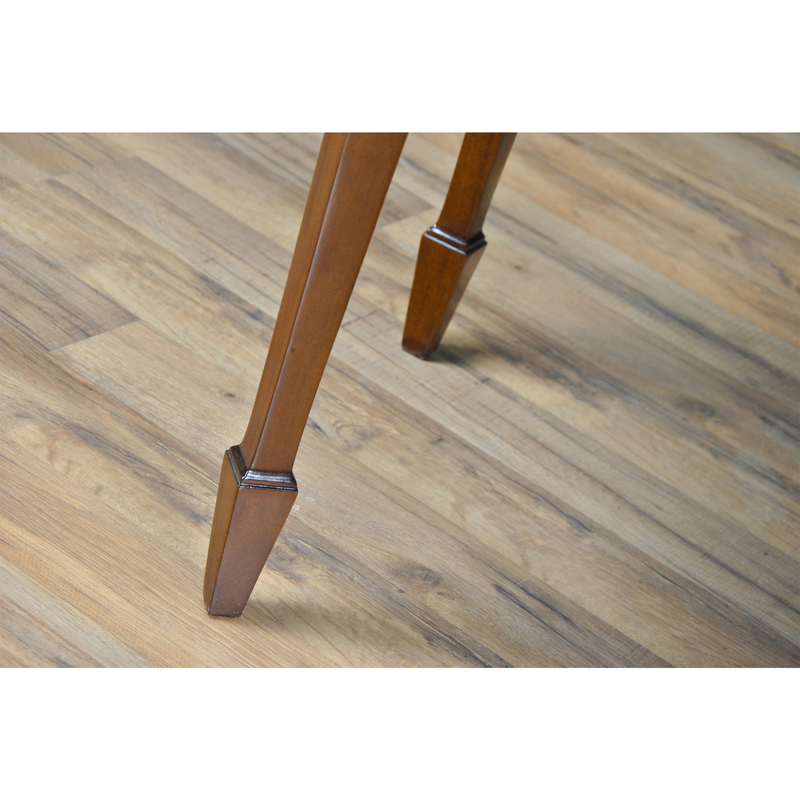 The whole of the case resting on square double tapering legs ending in a classic spade foot design suitable for us with many of the chairs also on offer from Niagara Furniture. 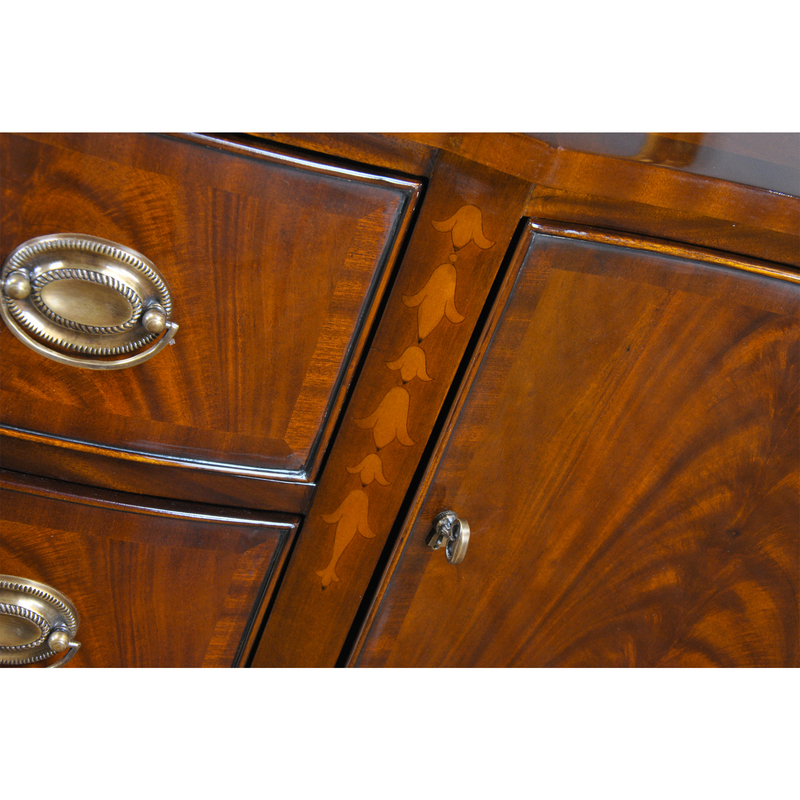 The top of the legs being hand inlaid with satinwood, bellflower designs.